CIVIL WAR II TIE-IN! 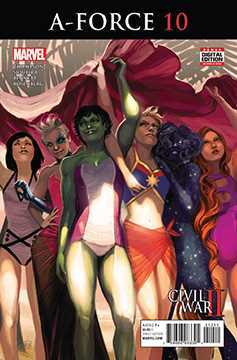 The lives of A-FORCE, a mysterious woman named Alice and an entire town lie in the hands of NICO MINORU. What Nico chooses to do next can save the day but can also make her a murderer — the very thing she’s been running from since CAPTAIN MARVEL first tried to arrest her. 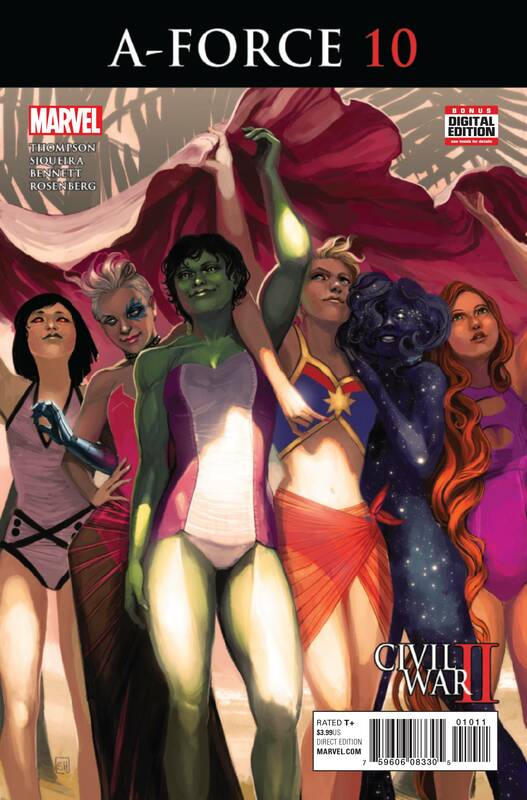 And if A-Force manages to survive the day, can the team stay together? Or will this be the end of A-Force as we know it? .